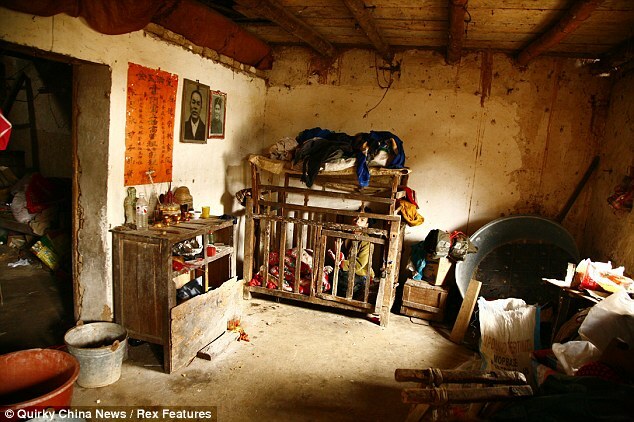 A mentally disabled Chinese man has spent almost his entire life locked inside a wooden cage because his family cannot afford to look after him. 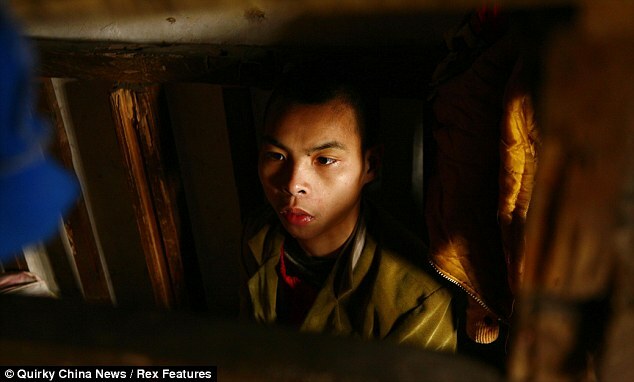 Tragic Wei Yun, 23, who lives in Gongchuan village, in southern China's Guangxi Province is unable to walk or talk and can only crawl. As a young child he was allowed to crawl around the home but at the age of two he knocked over a pot of boiling water and almost died. 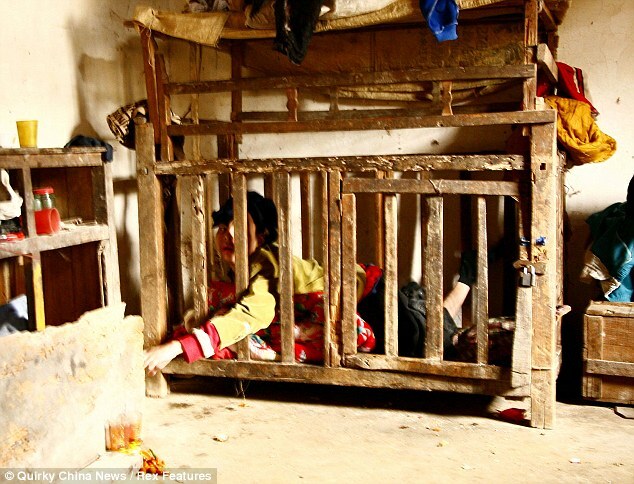 From then on his parents began to lock him in a wooden cage for his own safety.Wei's father works away from home and rarely has the time to visit, meaning there is no one to watch over Wei while his stepmother Nong is out working during the day. 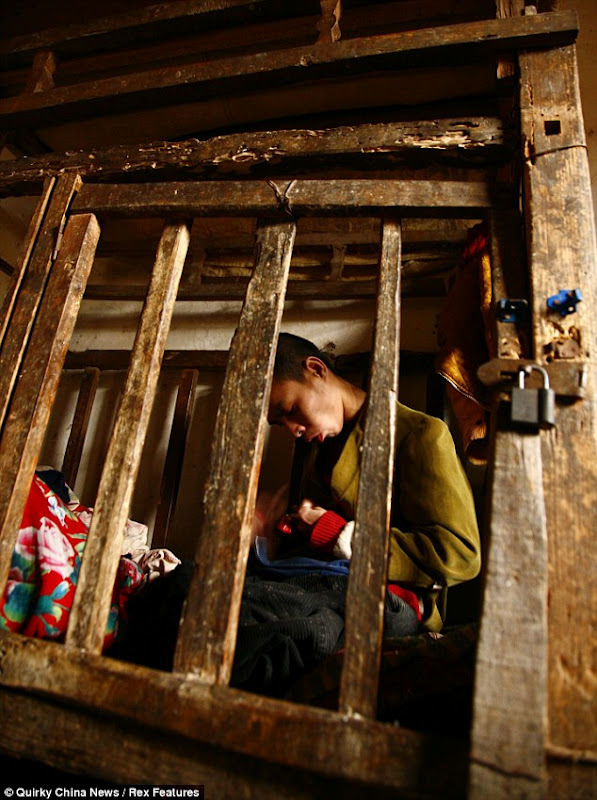 6 responses to "Chinese man who has spent his life locked in a wooden cage"
OMG Thats terrible! If this is true its a mockery of life. Shoot him and get it over with already. Everyone is suffering in this situation. The parents have to, more or less, take care of him, worry about him while away, and be constantly reminded that they produced someone like him. And the kid has to stay in that cage when no one's home and will never improve. This is what would be called a mercy killing. Anonymous said... "This is what would be called a mercy killing." Too bad *you* weren't mercy killed, you sick mvtherfvcker.